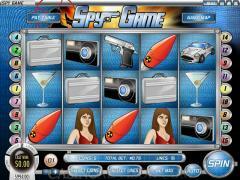 Spy Game is an I-slot from Rival Gaming. Like all I-slots it has a story to tell. 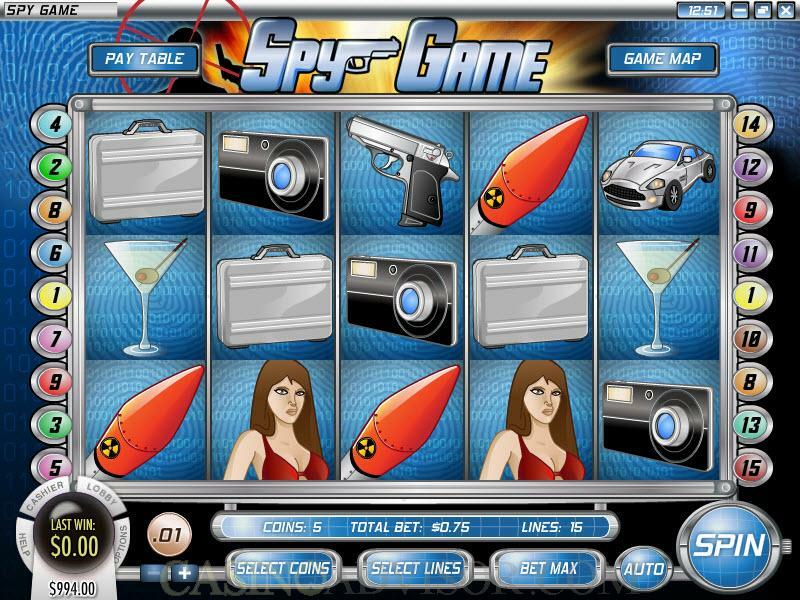 The slot game begins with a video clip showing weapons of mass destruction being put together in a factory. The player is the super spy who has been assigned with the mission of neutralizing the weapons of mass destruction. Before he can do so he has to collect the three parts of the exploding device. The slot game provides a game map so that the player can trace his progress in the mission. Spy Game does not offer a progressive jackpot. The fixed jackpots are also on the lower side. The highest fixed jackpot offers a payout of 800 coins when five Girl symbols appear in an enabled payline. At the maximum line better of 2.50 this pays out 2000 credits only. In Spy Game the coin size varies from 0.01 to 0.50. Players can wager from 1 to 5 coins per payline. The slot game has 15 paylines. These selections can be made using the buttons below the reels. Features like Auto Play and Bet Max are available. The File is the wild symbol. It does not offer any payouts. The Pistol is the scatter symbol. It does not offer scatter payouts. However three or more Pistol symbols trigger the free spins bonus round. 10 free spins are offered with the payouts multiplied four times. If winning combinations are made with the help of the wild symbol during the free spins then a further 3x multiplier is applied. Three components of the explosive device may appear during the first free spins round. If the player is able to collect all three then the bonus round is activated. 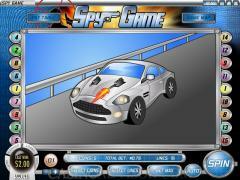 In the bonus game the super spy is taken to the island where the weapons of mass destruction are being produced. He has to plant the explosive device in one of four locations. He receives bonus credits randomly allocated to the selected location. The second bonus game is triggered when the three components of the rifle appear in a free spins round. This can take place only after the player has completed the first bonus round. 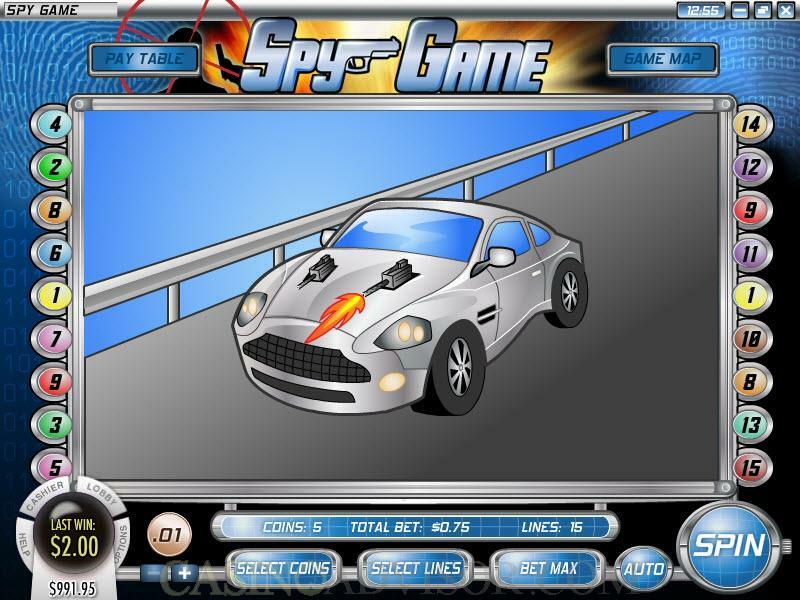 After completing the first two bonus games the player can proceed to the third one, in which the spy can make his getaway after completing his mission and the story gets completed. Spy Game has full screen animations. When four of any symbol appears in an enabled payline, the symbol fills the entire screen and displays the animation. For example the Martini gets filled from a thermos flask after being shaken and an olive is dropped into it. The Car zooms ahead with guns firing from its bonnet. The background music is vibrant in keeping with the exciting theme. Interested in reading more detailed information about Spy Game? If so Click Here for more details.